Can Sergey Kovalev Crush The Challenge Of Ismayl Sillakh? 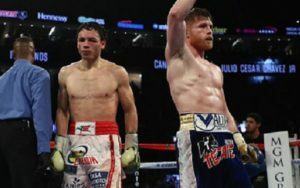 Boxing is always on the look out for new stars, and if there is one attribute that a fighter can hold, which will help him reach the status of a fan favourite, it is the possession of a knockout punch. 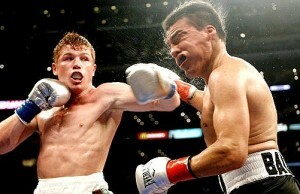 Boxing fans can forgive a fighter for almost anything, if he can put an opponent to sleep with a touch of either hand. Sergey Kovalev (22-0-1, 20 KOs) can do just that, it seems, with either one of his gloved fists. However, the fans have not had to forgive much either yet, because, unlike many other knockout punchers, the Russian born Kovalev has shown himself so far to be a well- rounded boxer, in addition to having dynamite in his fists. It is a reputation that Kovalev will be looking to build upon this Saturday, when he steps into the ring at the Colisee de Quebec, Quebec City, Canada, to defend his WBO world light-heavyweight championship against Ismayl Sillakh (21-1, 17 KOs). Kovalev’s career has steadily gained momentum since he turned professional in 2009, with 2013 looking like it will be his breakout year. In winning the WBO title from Nathan Cleverly in August, Kovalev silenced the doubters who had predicted he would be out-boxed, with a chilling display of punching power that showed just why Kovalev is known as ‘The Krusher’. Kovalev is different from many big punchers in that he does not go in for dramatic swings, or furious flurries; his punches are delivered in swift, but methodical fashion, almost low-key in appearance. The effect that they have on his opponents however, when landing, is certainly dramatic. Also on the same bill in Quebec, is the big punching Adonis Stevenson, defending his WBC portion of the world light-heavyweight championship against England’s Tony Bellew. The light-heavyweight division is a curious and exciting place to be at the moment. There is the big punching Kovalev and Stevenson, with their respective titles, and then the seemingly, ever young professor of defence, IBF world champion Bernard Hopkins. Mix in Lucien Bute, Jean Pascal, and a possible moving up in weight Andre Ward, and you have a host of fan-friendly, possible match-ups, at 175 pounds. For Kovalev, the future could be especially bright as he is younger, than both the ancient Hopkins and the 36-year-old Stevenson, and could well be the ultimate future of the division. In the first defence of his WBO world title, ’The Krusher’ takes on Ukrainian born Sillakh, who like Kovalev, moved to America in order to chase his dream of boxing stardom. Ismayl Sillakh is a tall and rangy boxer, with a good jab, and respectable punching power. He makes good use of his 6’ feet 3” height, and has nice footwork. At first glance, Sillakh has perhaps the speed and boxing skills to evade ‘The Krushers’ bombs, and hand out a boxing lesson to the champion. This was what some thought Nathan Cleverly would do to Kovalev, and that theory lasted all of 4 rounds, and several knockdowns. Undoubtedly, one of the champion’s strengths is that his fearsome punch is accompanied by very good boxing technique and ring generalship. One of the surprises of the Cleverly fight came in the first round, when the challenger Kovalev, was out-jabbing the Welshman. 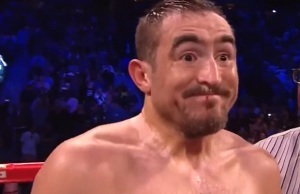 Kovalev is no slouch when it comes to the finer points of boxing. Despite the fact that he has only gone past the 3rd round on four occasions during his career so far, Kovalev is a patient fighter, who hunts his opponent down, much like Middleweight champion Gennady Golovkin, and paves the way for his fight ending assaults with a solid jab, and debilitating body attack. Against a tall opponent, such as Sillakh, the champion’s body attack is likely to be a crucial factor. 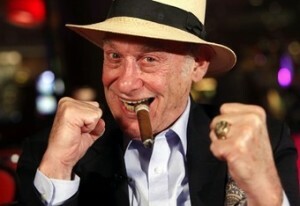 The challenger has one defeat on his record, but it is one that may hold a clue to his fate against Kovalev. On April 27, 2012, Sillakh was winning every round, and giving a boxing lesson to Denis Grachev, when he was caught and hurt, then cornered and pummelled, until he eventually fell to the canvas, prompting the referee to step in immediately. As stoppage defeats go, it was quite conclusive, and devastating. Most fighters can be caught and hurt, and even stopped, but what was telling about Sillakh’s defeat, was the suddenness of his collapse, and his seeming confusion over what to do when he was hurt. Since this defeat, Sillakh has come back with four victories in a row, albeit, against moderate opposition. Sillakh has shown a tighter defence in these fights, carrying his arms higher than he generally did up to the Grachev defeat. Yet, the doubts remain about Sillakh’s durability, and his ability to act under fire. Like many boxers, whose styles are built around being elusive, and hard to hit, Sillakh seems uncomfortable when he is hit. Now in Kovalev, he faces the ultimate test of his ability to win when under fire. Sillakh’s speed and boxing skills may take him further than most of the champion’s opponents so far, but it seems unlikely that the challenger will be able to avoid Kovalev’s bombs all night long, especially his body attack. This fight looks to be a showcase for the champion to demonstrate his crushing power, against a talented, but ultimately flawed challenger. We will see Sillakh make a good start, using the ring and working his jab, with Kovalev patiently following. The champion will then methodically break down his challenger with his body assaults. The end, when it comes, may be sudden, and spectacular. If Stevenson also comes through his own defence against Bellew, and in some style, as expected, then the stage would be set for a unification clash between the two champions, in what looks bound to be one of the shootouts of next year, and perhaps Kovalev’s first step towards making 2014 the year of ‘The Krusher’.